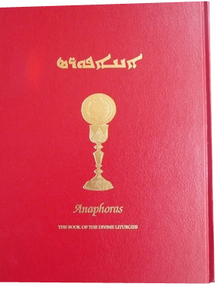 The Book of the Divine Liturgies According to the right of the Syrian Orthodox Church of Antioch. Translated from the original Syriac by Archdeacon Murad Saliba Barsom. Edited and Published by the late Metropolitan Mar Athanasius Yeshue Samuel, Archbishop of the Syrian Orthodox Church in the United States and Canada, 1991. Syriac text with English translation.